“The River They Saw” is an Oregon Public Broadcasting production, part of the Oregon Experience series, highlighting the significant photographers who recorded the astonishing beauty of the 100-mile-long Columbia River Gorge during the last 150 years. At the turn of the 20th century, women photographers played an important role in creating outstanding photographs in the artistic, professional, and amateur realms. 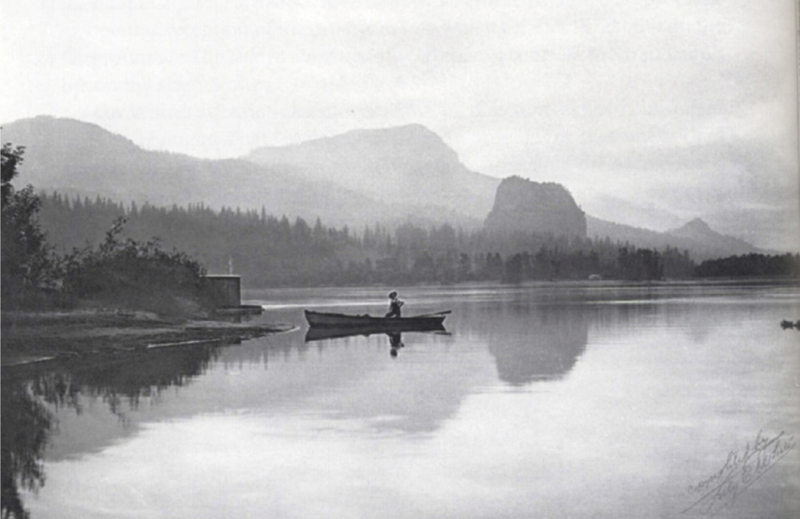 Between 1900 and 1905, photographers Lily White and Sarah Ladd photographed the Gorge, often using White’s houseboat, the Raysark, as the base for their work. In 1903, White equipped the Raysark with an up-to-date darkroom with running water! Click on the Oregon Experience logo to watch “The River They Saw” and learn more about these fascinating photographers and how they worked within the available technology of their time. Carole appears about 24 minutes into the program discussing the role of women photographers and the work of Lily White and Sarah Ladd.